While the Solar Power Plant, Dam, and Wind Farm have allowed players to increase their maximum energy cap in CityVille, even when you combine the use of all of these items, many players still don't have enough energy to tend all of their businesses, harvest crops or complete quests without coming back to the game multiple times a day after their energy has been refilled. 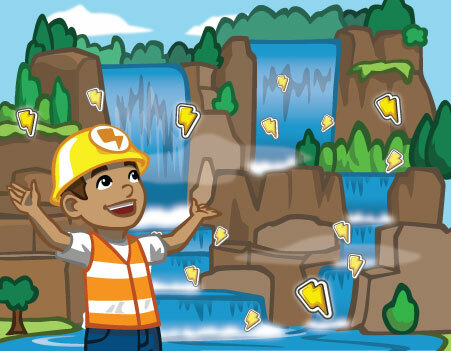 A new feature will hopefully put a dent in the amount of times you'll need to come back to the game each day, as a Waterfall Power Station will eventually allow you to raise your maximum energy cap by a whopping 50 points! Of course, this won't come easily, or quickly, as you'll need to expand to the new Waterfall Power Station and then upgrade it (a lot) in order to unlock its full potential. To begin, you'll need to be at least Level 21 in the game to unlock this feature, and will then have to expand to the Waterfall Power Station, which will be either one or two squares (on average) away from the current borders of your city. If you've already expanded to the full board available as of this writing, you might need to refresh your game to force the Waterfall Power Station into your inventory. After it's placed, you'll have a simple (but large) building that will provide you with just a single bonus point to your energy cap, and you'll need to upgrade it by collecting building materials to increase that number. Of course, as you continue to upgrade, you'll need more and more building materials, making this arguably the most item-heavy feature in the entire game. The Waterfall Power Station will change visually at levels 11, 21, 31 and 41, giving you more possible energy along the way, but whether or not most players will have the patience to upgrade the Power Station upwards of 41 times is definitely questionable. I suppose if nothing else, this will give users a lot to keep them busy, if they ever run out of other things to do. What do you think of this massive building project in CityVille? Would you ever attempt to upgrade the Waterfall Power Station to unlock the full 50 points available? Sound off in the comments!